The American Insurance Association (AIA) has entered the fray over proposed changes to Michigan’s no-fault auto insurance system, with a senior AIA official telling state lawmakers that modifications must be made so that the entire system doesn’t have to be scrapped. David Snyder, AIA vice president and associate general counsel, testified before the state House Insurance Committee that personal injury protection (PIP) claims costs have risen 20 percent in the last four years because of Michigan’s mandate that insurers provide up to a lifetime of benefits. 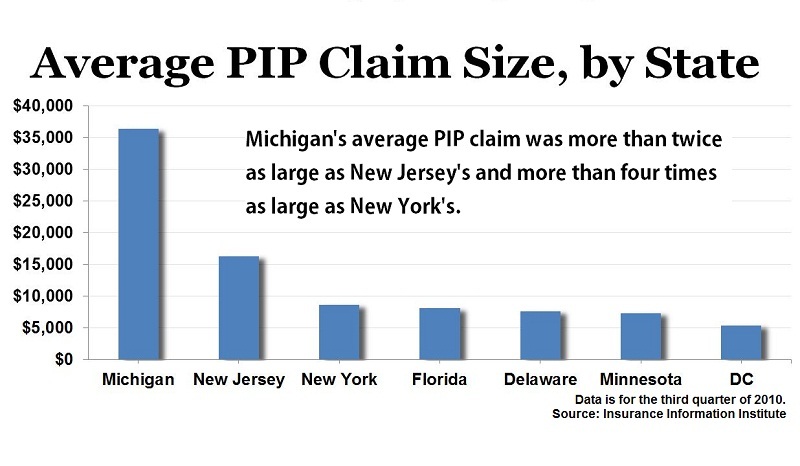 According to Snyder’s testimony, the average PIP claim has risen from about $28,200 in 2007 to about $36,800 in 2011. Those cost increases have led to higher policy rates for drivers statewide, said Snyder, who told lawmakers that state law must be changed to limit insurer costs and stop premiums from continuing to increase. He said AIA supports proposed legislation that would allow consumers to choose how much PIP protection they carry while freeing insurers of the obligation to cover unlimited care. He pointed out that Colorado, Connecticut, Georgia and Nevada have all had to repeal their no-fault systems because reform efforts in those states failed. Snyder’s testimony came as state legislators heard input last week from supporters and opponents of the state’s no-fault system, the only one nationwide that requires insurers to cover up to a lifetime of medical and rehabilitative costs for victims of automobile crashes who suffer catastrophic injuries. Under the 39-year-old system, drivers statewide pay into a catastrophic claims fund that helps finance PIP claims that exceed a half-million dollars. That payment is made in the form of a fee that is added to policies and is currently $145 per vehicle. Critics claim the system unfairly burdens insurers and has led to prohibitively high premiums in Michigan, which has among the highest policy rates nationwide. Snyder said Michigan is the 11th most expensive state for auto coverage because of the state’s PIP coverage mandate. Legislation supported by AIA and other insurers would establish a four-tiered system under which motorists could choose to carry $250,000, $500,000, $1 million or $5 million in PIP coverage. If the policyholder opts not to choose between those coverage levels, the policy would automatically be set at $250,000, which Snyder pointed out is still higher than the minimum limits set in any state in the nation. The limits outlined in the bill are considerably higher than those proposed in earlier legislation backed by coverage providers, which would have let policyholders purchase as little as $50,000 in PIP coverage. Proponents say the changes could lead to lower premiums for economically strapped consumers seeking the most affordable Michigan car insurance policies, possibly making coverage inexpensive enough for motorists who have driven uninsured because they couldn’t afford policies. The Insurance Research Council has estimated that 19 percent of Michigan motorists were uninsured in 2009, a 2 percent increase from 2007. Opponents, including many of the state’s health care organizations, maintain the proposed changes would benefit insurers by relieving them of the obligation to provide necessary care for serious accident victims, instead shifting that burden to taxpayers.